Pashupatinath – famous holy temple of Hindus. Swoyambhunath – The monkey temple. Bouddanath – The largest Stupa. Patan Durbar Square – World Heritage Site. Pokhara – valley of Paradise. Phewa Lake, Mahendra Cave, Devis falls. Muktinath – Sacred Place for Hindu and Buddhists. Great views of giant snowcapped mountains. "Take a break from your hectic schedule and enjoy sometime in the lap of nature"
Refreshment corporate tour in Nepal is especially designed for those who wants to take a break and take time to relax and unwind in pristine nature. Refreshment tour not only boosts up your mental and physical strength but helps you generate new ideas. A busy schedule generates stress on your mind body and soul. Most of people equates being stressed and busy with success but the truth is that you will eventually yourself going on premature aging, dumbing mind and victim of modern diseases like blood pressure, heart disease, dementia, hormonal disruption and diabetes. Refreshment tour is the best way to get relax and counterbalance the everyday stress of modern life. 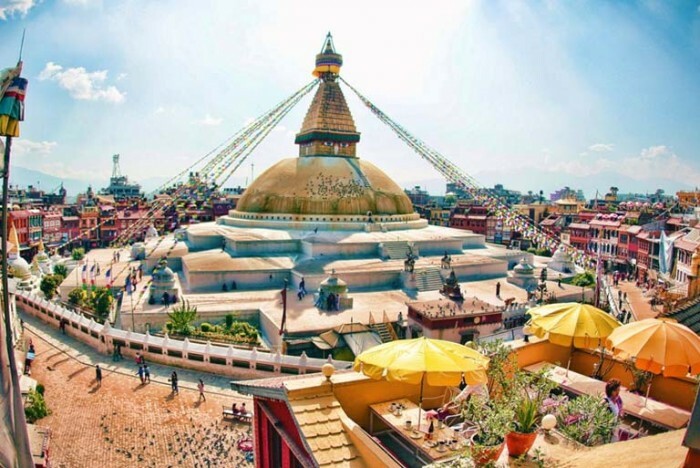 Refreshment Corporate Tour in Nepal takes you to amidst of pristine nature where one can easily relieve the stress and enjoy the marvel of nature. You will find the new perspective of life and learn how to build and strength relationship. In addition, refreshment corporate trip in Nepal helps you to get relax and rejuvenated while taking on the adventure that nature offers. We are well-aware that you have less vacation but truly want to enjoy the nature and get relaxed. We have meticulously crafted the best vacation trip that takes you deep into the nature to enjoy the fresh and get lost in the magical displays of emerald hills, mountain vitas and cultural villages. We have designed the best Nepal tour targeting the luxurious travelers in Nepal. However, you can request the tour itinerary with low budget and you will to manage the tour according to your holiday budget as possible. A cozy vehicle with experienced and friendly guide and driver will accompany you throughout the trip. Any other expenses that is not mentioned in the cost include section.